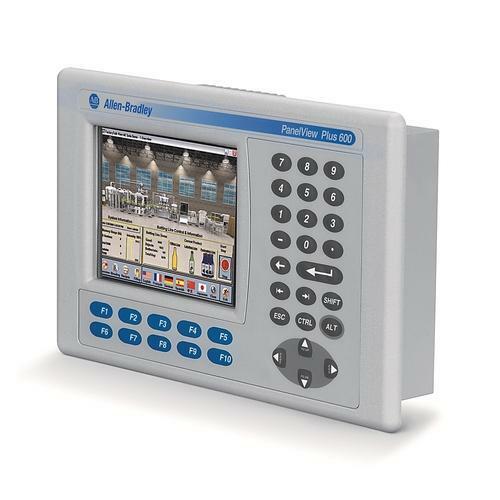 Bulletin 2711PC PanelView™ Plus 6 Compact Graphic Terminals let you monitor, control, and display application status information graphically. These terminals offer the open-platform flexibility of the Windows® CE operating system. They are available in 4…6 in. display sizes. FactoryTalk® View Studio Machine Edition software lets you program all of your PanelView Plus 6 Compact graphic terminals. Established in the year 2017 at Surat (Gujarat, India), we “Asteam Technologies” are engaged in wholesale Distributor of an excellent quality range of Programmable Logic Controller (PLC), Drive (VFD), HMI, Panel PC, SCADA, Profibus Connector, Cable, etc. We are a Partnership firm and we source products from the reliable market vendors which can be availed from us at reasonable prices. Under the guidance of “Mr. Sumit Savaliya” (Partner), who holds profound knowledge and experience in this domain, we have been able to aptly satisfy our clients.